Pakistani student Abid Naseer was plotting a “devastating” bomb attack in Manchester, which could have been as deadly as the 7/7 attacks in London, according to police. 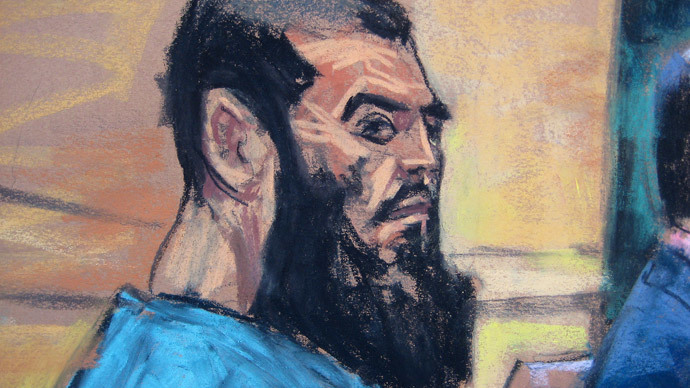 Naseer, 28, was convicted in a New York court of plotting attacks on both the NYC subway system and a shopping center in Manchester. “The scale of the intended attack, the number of casualties that I think we would have seen in Manchester, would have been comparable to the 7/7 attack,” he told Sky News. He revealed that emails Naseer, a member of Al-Qaida, sent from a Manchester internet cafe to a suspected handler in Pakistan about an impending wedding were actually coded details of the attack. They had targeted the Arndale shopping center in Manchester. His comments come as police chiefs have questioned why Naseer wasn’t prosecuted in the UK after planning “another 9/11” on British streets. The Crown Prosecution Service (CPS) has been criticized for failing to charge him when he was arrested in Manchester in 2009. Police had submitted a file to the CPS, but he didn’t face prosecution as there was insufficient evidence, the CPS claims. The CPS also failed to deport Naseer, and allowed the Pakistani national back on the streets. Later he was issued with a control order and was taken back into custody while US authorities began extradition proceedings. He was deported to the US in January 2013. Retired Detective Chief Inspector Allan Donoghue said the CPS was wrong not to charge Naseer with planning a terrorist attack and said lives have been put at risk by their failure to prosecute him in the UK. As reported by ITV, Tony Lloyd, police and crime commissioner for Greater Manchester, said: “The reality is that, had the Americans not acted, a dangerous man who was intent on causing death and destruction here could potentially still be walking our streets. A CPS spokeswoman said: “The evidence in our possession in relation to Abid Naseer, which would have been admissible in a criminal court, was very limited. “Crucially, there was no evidence of training, research or the purchasing of explosives.